Modern data collection procedures, such as ecological momentary assessments, experience sampling, and diary methods have been developed to record the momentary events and experiences of subjects in daily life. These procedures yield relatively large numbers of subjects and observations per subject, and data from such designs are often referred to as intensive longitudinal data (ILD). Data from such studies are inherently multilevel with, for example, observations (level-1) nested within subjects (level-2), or observations (level-1) within days (level-2) within subjects (level-3). Thus, mixed models (aka multilevel or hierarchical linear models) are increasingly used for data analysis. In this workshop, we will begin with the basic 2- and 3-level mixed models, as well as extended uses of mixed models for analysis of ILD. A major focus of the workshop will be on the modeling of variances from ILD. In the standard mixed model, the error variance and the variance of the random effects are usually considered to be homogeneous. These variance terms characterize the within-subjects (error variance) and between-subjects (random-effects variance) variation in the data. In ILD studies, up to thirty or forty observations are often obtained for each subject, and there may be interest in characterizing changes in the variances, both within- and between-subjects. Thus, an extension of the standard mixed model will be described, which adds a subject-level random effect to the within-subject variance specification. This permits subjects to have influence on the mean, or location, and variability, or scale, of their mood responses. These mixed-effects location scale (MELS) models have useful applications in many research areas where interest centers on the joint modeling of the mean and variance structure. Participants should be thoroughly familiar with multiple linear regression, and some knowledge of mixed models (i.e, multilevel/HLM) is helpful. Enrollment is limited to 40 participants to maintain an informal atmosphere and to encourage interaction between and among the presenter and participants. We will give priority to individuals who are involved in drug abuse prevention and treatment research or HIV research, who have the appropriate statistical background to get the most out of the Institute, and for whom the topic is directly and immediately relevant to their current work. We also aim to maximize geographic and minority representation. The application window is from February 1, 2019 to March 14, 2019. Once accepted, participants will be emailed instructions about how to register. The registration fee of $395 for the two-day Institute will cover all instruction, program materials, and breakfast and lunch each day. A block of rooms at the Nittany Lion Inn will be available for lodging. Participants are encouraged to bring their own laptop computers for conducting exercises. Review our refund, access, and cancellation policy. Donald Hedeker, Ph.D., is Professor of Biostatistics in the Department of Public Health Sciences at the University of Chicago. He received his Ph.D. in Quantitative Psychology from The University of Chicago. Don’s main expertise is in the development and use of advanced statistical methods for clustered and longitudinal data, with particular emphasis on mixed-effects models. He is the primary author of several freeware computer programs for mixed-effects analysis: MIXREG for normal-theory models, MIXOR for dichotomous and ordinal outcomes, MIXNO for nominal outcomes, and MIXPREG for counts. In 2008, these programs were restructured into the Supermix software program distributed by Scientific Software, Inc.
With Robert Gibbons, Don is the author of the text “Longitudinal Data Analysis,” published by Wiley in 2006. More recently, Don has developed methods for intensive longitudinal data, resulting in the freeware MixRegLS and MixWILD programs. 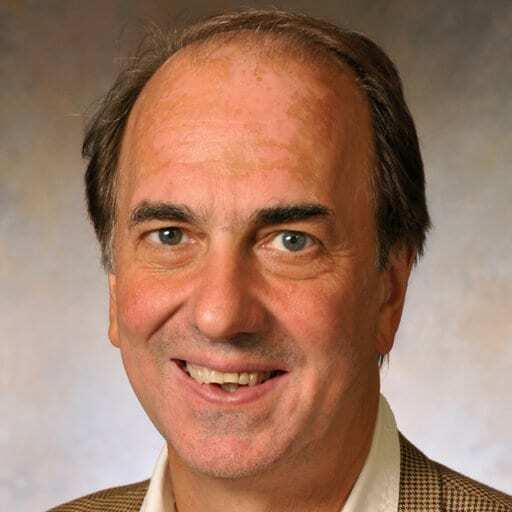 In 2000, Don was named a Fellow of the American Statistical Association, and he is an Associate Editor for Statistics in Medicine and Journal of Statistical Software. Funding for this conference was made possible by award number R13 DA020334 from the National Institute on Drug Abuse. The views expressed in written conference materials or publications and by speakers and moderators do not necessarily reflect the official views and/or policies of the Department of Health and Human Services; nor does mention of trade names, commercial practices, or organizations imply endorsement by the U.S. Government.